Fans have been asking Konami to let David Hayter reprise his role as Solid Snake ever since we found out Kiefer Sutherland was taking over for Metal Gear Solid V. Well, you got your wish. Some of the picks in our best strategy games definitely will keep you waiting. David Hayter has been busy, the little snake in the grass. 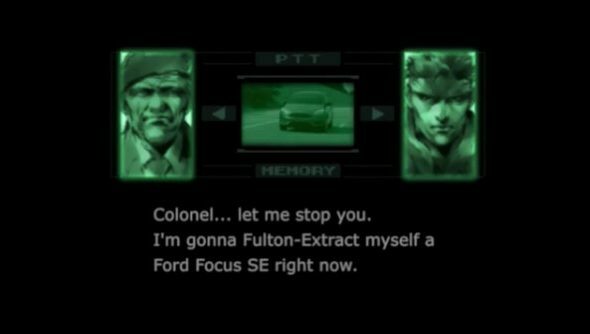 It was only yesterday when we reported on him reprising his famous role in a fan Unreal 4 project, and now he’s appearing in Konami-backed adverts for Ford. Is this the real life? Look at this. It is mental. There’s also this bizarre one with Psycho Mantis. If Kojima was dead, he would be turning in his grave.